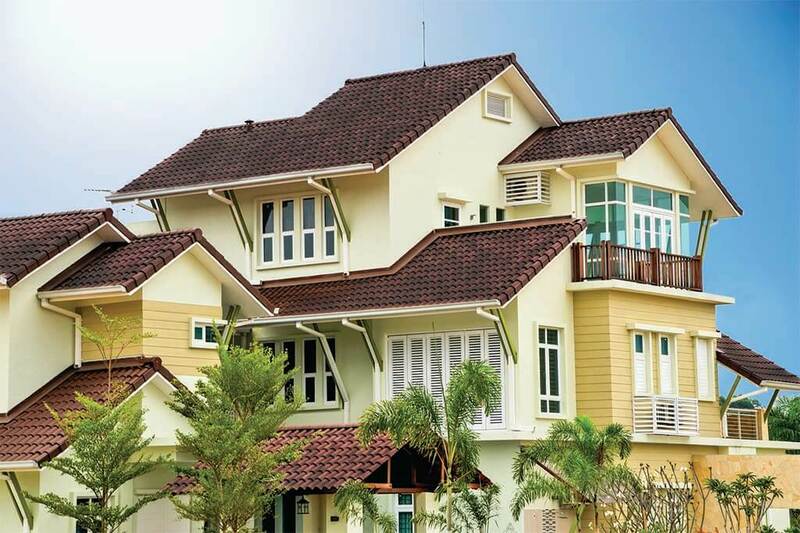 With 60 tile profiles to choose from, coupled with the unrivaled terms, quality finish and the realization that the materials used from TERREAL are the Best in the World, re-roofing with TERREAL is the only re-roofing partner you can trust. With 150 years of experience, TERREAL can truly lay claim to COVERING THE WORLD IN BEAUTY. Terreal is working in partnership with MCIS Zurich Insurance, a leader in the Malaysian Insurance Industry. our insurance scheme will cover material damage to your properties and third party liability during all duration of re-roofing. In case of claim, Terreal will liaise directly with MCIS Zurich in order to settle any matters arising. 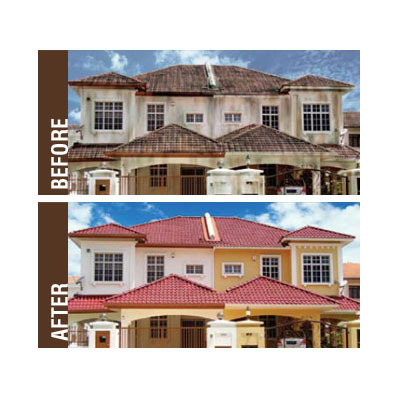 Terreal Makes it easy to reroof. Participating banks include Maybank Ezypay. Terreal’s re-roofing scheme provides for a 12 months roof warranty and Terreal certificate are provided. Team Trained at Terreal Kluang factory. All appointed installers are uniformed and wear authorization tags. 1. Roof inspection by Terreal Certified Insullation Partner. 2. Customer to specify requirements and quotations provided thereafter. 4. Dismantle existing old roof tiles, portion by portion. 5. In case of raining, exposed roof will be covered with canvas. 6. Dispose old tiles into a disposal bin. 7. Remove batten and inspect conditions of each batten. 8. Lay COOLMAX insulation foil. 9. Install batten at new spacing depending on roof tile profile. 10. Dismantle gutter and fascia board. Replace if necessary. 11. Lay new Terreal roof tiles. 12. Install ridge tree and ridges using Terreal Dry Fix. 13. Install wall flashing using Terreal Dry Flash. 14. Install socket and lantem for ventilation outlet. 15. Gathering, clearing of rubbish and debris. 16. Roof inspection by Terreal and delivering Terreal Warranty Certificate. How do i recognize a Terreal Certified Installer? 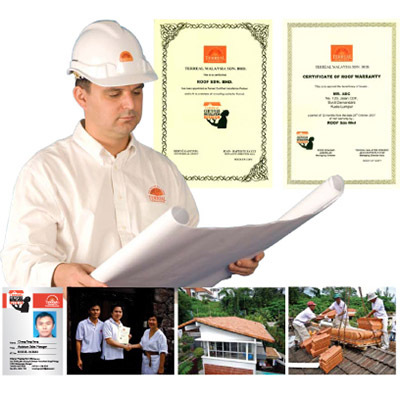 Ask for the Identification Card and Roofer Certificate issued by Terreal. All our installers should wear our Terreal uniform, including all their installation roofing team. If you have any doubt, you can call our hotline 1-300-88-7663 for confirmation. Do i need to obtain a permit to re-roof my house? 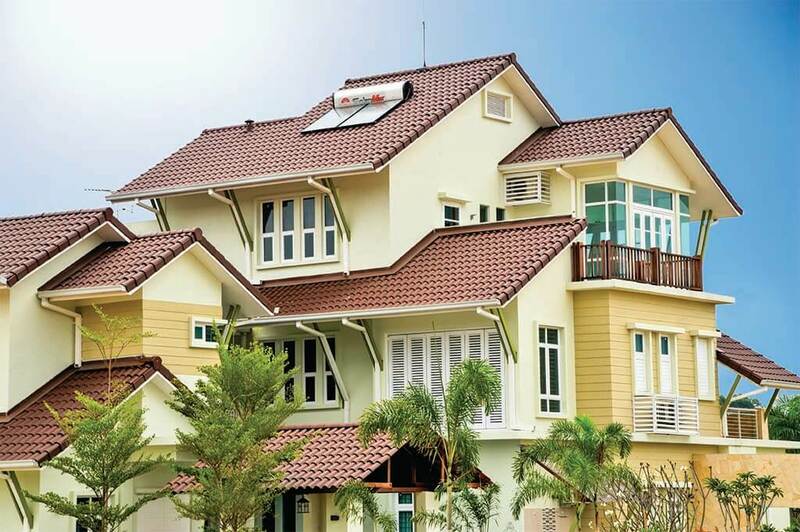 No permit is required if the design of your roof remains unchanged. What is the typical duration of a reroofing job? The duration of the job varies widely depending on the size and the complexity of the roof. A terrace house can usually be completed within a week, while a bungalow will normally be finished within 2 weeks. Sometimes, those normal duration will be affected by weather conditions. How does heavy rain affect reroofing progress? Heavy rain can interrupt or delay roofing progress. Safety of the workers is the first consideration. However. during progress of re-roofing, we will minimize opened areas that are exposed to rain. We will use canvas to cover all open areas in order to avoid any leaking. Shall my family move out during reroofing? Although it is not necessary to move out, we advise you to be prudent and avoid being outdoor during work. Our installer will give precautionary recommendations before start of job and will limit access to working areas. How do i know if flashing, valley gutter and fascia board need to be replaced? Our installer will inspect and advise you on necessary replacements. Rusted metal shall be replace or repainted as necessary. What will happen to all equipments already fixed on my roof (TV antenna, lighting arrester, solar water heater, water tank, alarm system, etc.)? If those equipment do not affect installation of roof tiles, our installer will take precautions during work in order to protect those equipment. In case it is necessary to remove and reinstall them, our installer will arrange for each equipment installer to carry out work, with separate fees. What does warranty exactly cover? Who shall i contact in case of claim? Our roof warranty covers materials and workmanship during 12 months. During this period, in case of leakage, our installer will give a Certificate of Warranty with detailed terms and conditions.